AS part of this year’s Red, White and Blue Day on 9 October, ABF The Soldiers’ Charity is asking schoolchildren to design a World War Two propaganda poster. The competition, which closes on 31 March, takes inspiration from famous posters bearing straplines such as “Keep Calm and Carry On” and “Dig for Victory”, giving children a chance to design adverts and messages that they think would have inspired the nation. The winners will have their designs printed and framed. 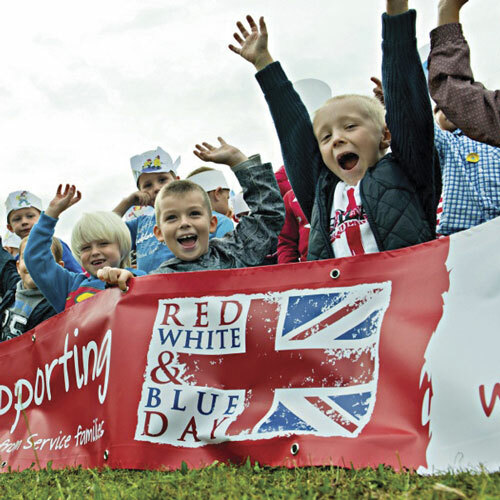 Red, White and Blue Day is a national fundraising campaign encouraging schoolchildren to come to school dressed in red, white and blue for a donation of £1 to support the work of ABF The Soldiers’ Charity, the Royal Air Force Benevolent Fund, and The Royal Navy and Royal Marines Charity. Your school can get involved by registering at www.redwhiteblueday.co.uk or following the hashtag #RWBDay on social media.